NHL News : Breaking: Habs and Kings working on trade deal involving Nate Thompson. Breaking: Habs and Kings working on trade deal involving Nate Thompson. Trade deal close between these two teams. We have a trade deal that is brewing in the National Hockey League. Although nothing has been made official just yet, according to a breaking news report from Sportsnet's National Hockey League insider Elliotte Friedman the Los Angeles Kings and the Montreal Canadiens are currently discussing a trade that appears to be a low end rental on the part of the Habs at this time. 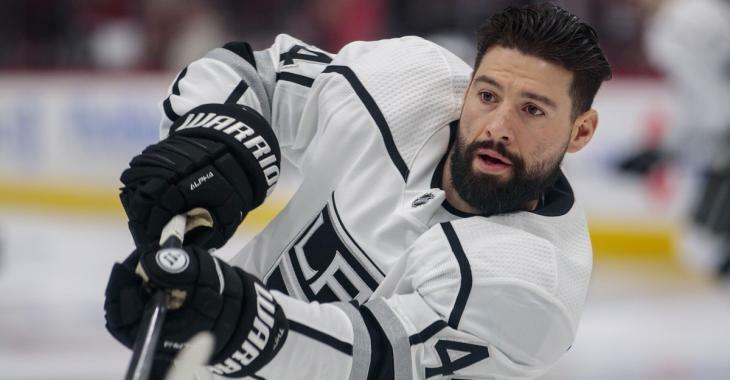 We do not know a great deal about what is going on in this trade but according to Friedman one of the pieces involved is Los Angeles Kings veteran forward Nate Thompson. The 34 year old center would seem like a natural fit for the Montreal Canadiens who have been in constant need of more depth up the middle of the ice for several seasons now, although to see the Canadiens adding a rental player in the current state of their organization does come as somewhat of a surprise to me. This likely is not intended to be a cap saving measure from the Kings' either given the fact that Thompson is in the final year of his deal and would save them no money outside of this current season, a season in which the Kings will miss the playoffs and are not expected to make any additions to their roster. No word yet on what the other pieces of this deal might be, but stay tuned for more. Update: The Fourth Period's David Pagnotta says this is a done deal.